All the practical information you need to know about the Wattamolla picnic area. 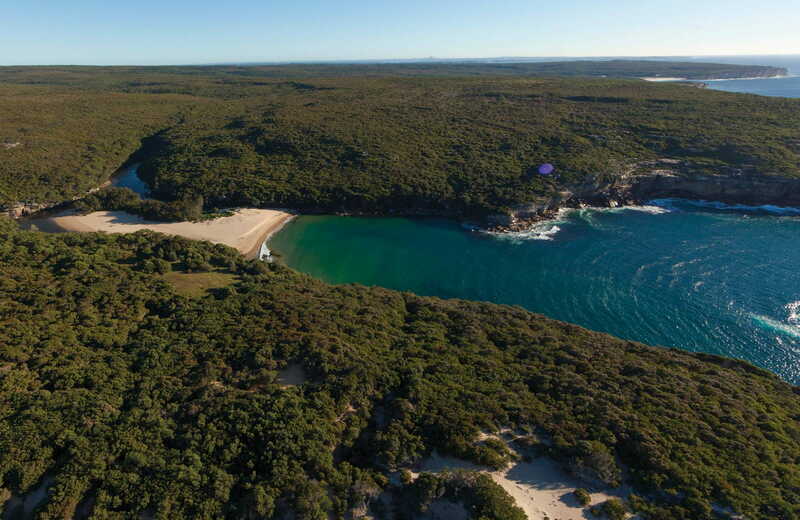 Turn left onto Wattamolla Road, 250m past Bundeena Drive, and follow to Wattamolla picnic area. Follow @royalnpalerts on Twitter for regular, real-time updates about traffic and parking capacity. Parking is available but it can get very busy on the weekend, when parking might be limited. Think about car pooling to Wattamolla because the number of people visiting often exceeds the parking spaces available. Plan a visit during spring to admire the stunning heathland wildflowers on display. Head along parts of the Coast track to see them in bloom. You'll be spoilt for choice when it comes to water activities at Wattamolla. Float around in the majestic lagoon, perfect for small children, or cool off at the beach. Just remember to be safe because there's no lifeguard service at Wattamolla. It's an extremely popular location so plan to arrive early in the day as parking is limited and the car park often fills up before midday on a hot weekend. Winter is a great time to visit Wattamolla as it's a lot quieter than it is during the busy summer months. Not only will you be greeted by spectacular coastal scenery, you can also see whales from the cliffs or the lookout between June and August. You'll need to bring your own water for drinking and cooking. Beaches, rivers and lakes in NSW national parks offer lots of opportunities for water activities. Please take care in the water and find out how to help your family and friends stay safe around water. For your own safety, please don't jump from the top of the waterfall into the lagoon. Jumping from the waterfall is prohibited. Please read our waterfall safety tips.